Field Marshal Kutuzov was badly wounded in his youth, and his right eye was permanently damaged. He faced many hardships due to that wounding. Kutuzov was at the age of 67 when Napoleon attacked the Russian Empire. Mikhail Kutuzov, the Commander-in-Chief who played an important role during the Napoleonic Wars, was born on this day in 1745. Kutuzov reached the rank of the Russian Field Marshal, and became famous for his role in the Battle of Borodino, where he confronted Napoleon Bonaparte on the battlefield. Kutuzov was born as the son of a noblewoman and a general. He held many titles. Since Peter the Great’s rule, Russian aristocrats held higher officer ranks. In his late twenties, Kutuzov was wounded during an attack (he served as officer on the battlefield). The bullet went through his head, and exited near the right eye. This was a deadly wound, but Kutuzov eventually recovered. But, his right eye was permanently damaged, and he faced many hardships due to that wounding. Kutuzov even became a major general. Reportedly, he was thinking about George Washington’s strategy, and concluded that winning a battle wasn’t necessary to win a war. It is interesting to note that Kutuzov served as governor-general of the Crimea, ambassador in Istanbul and Berlin, and governor-general of St. Petersburg. When Napoleon attacked the Russian Empire, Kutuzov was at the age of 67. Kutuzov commanded the Russian army during the war against the French. 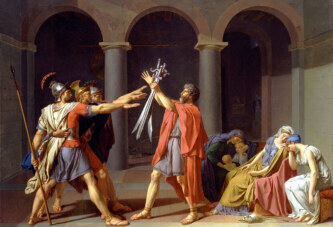 His decisions were criticized, but the French army was finally defeated. 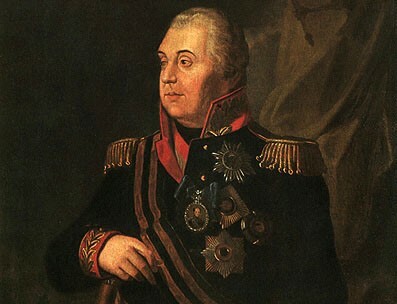 Kutuzov was awarded the title of Prince of Smolensk. Field Marshal Kutuzov died soon after Napoleon’s retreat from Russia. The French troops retreated during the winter (1812/13), and Kutuzov died in the spring of 1813.